Percy the Harmony Library Mascot is flitting around Fort Collins! Hi! My name is Piercival (it means “the most piercing shriek of all” in owl language), and I’m the new mascot for Harmony Library! It’s nice to meet you! But, please call me Percy! I’m sure you’re wondering how I came to Harmony Library. Well, one day I was out flying around Fort Collins, and I saw this really cool building on Shields and Harmony. It was Harmony Library! I didn’t know what a library was at first, but I found out it was this amazing place I can find books to read. They say owls never sleep, and it must have seemed like that to the librarians because I never left and I was always reading! My favorite one was Alice in Wonderland. I read it so many times! Actually, I may have read it too many times! I was so embarrassed that I let my imagination get me carried away. I shouldn’t even be telling you this story! But it is true! Well, I took the librarian’s advice and I kept reading. When I ran out of things to read, I asked the librarian for more. She took me to every book shelf, and we looked at every book. We discovered that I had read every book in the library! I don’t want to brag or anything, but I’m sort of a legend for it. I got a little sad though. I really liked reading the books. What was I supposed to do now? That’s when the librarian told me not to worry! The library gets new books in all the time! That makes me so happy! I can’t wait to see what they are going to get in next! You can check out what’s new at the library here: http://www.poudrelibraries.org/newitems.html. 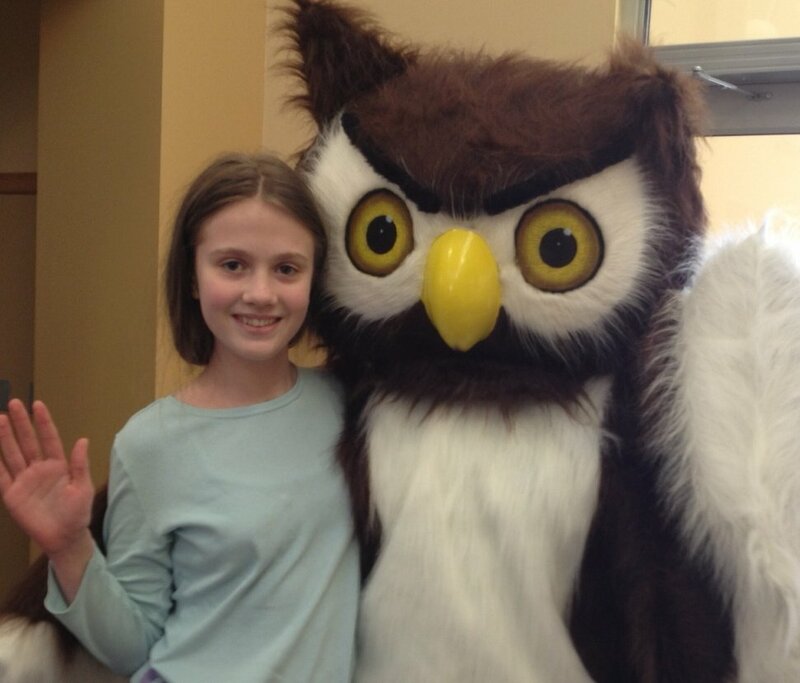 Many thanks to Emma and her winning submission to the Name the Owl Contest!